Each time a provider has put up their prices, Labour has spun its smoke and mirrors on their ludicrous plan for a 20 month price freeze. Meanwhile the Tories have said people need to change provider to get a cheaper deal. 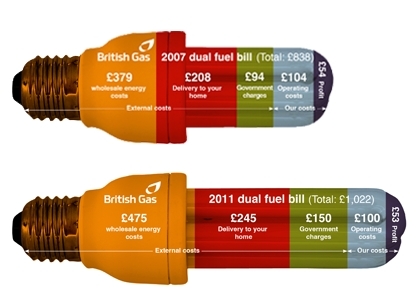 Both are trying to convince the public they want to ‘do something’ even though both have laid the blame for the huge and continuing price rises at the door of the energy providers and have tried to ignore the government’s significant role in driving up energy costs – which are far greater than the 10% admitted to by DECC. 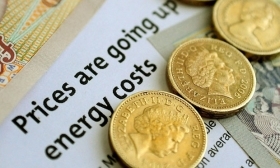 But today, against a backdrop of Tories and Socialists at least going through the motions of claiming they want to see the rapidly increasing burden of energy prices reduced, the Lib Dem energy minister, Ed Davey, has said he is pledging to turn the screw even harder. I am not going to give up on renewable energy, they are not going to touch it, and I am not going to betray the fuel poor. That’s for me is a complete red line. I feel passionate about that. The green taxes we have been pushing as Liberal Democrats in this government have been extraordinarily successful and point to an extremely green, clean energy future. They’re not being touched and they won’t be touched. It’s incredibly important for investors that they hear that. His pledge to help the fuel poor just creates more fuel poor to pay for it. But his real priority is renewables. He wants to carpet bomb the country with wind turbines so he can rid the energy mix of coal fired energy – at a time when environmentalist Germany is building more competitive and reliable coal fired plants, to ensure its people and industry can afford to power homes and businesses. While Germany thinks about its power needs and acts on them, Britain has the insipid Davey thinking about investors’ needs and crippling consumers. These investors are the people and companies that coin in a fortune from our taxes and energy levies to put up wind turbines that earn them vast sums, even when the turbines deliver only around a 1/5th of their energy capacity – and they even make money when the turbines generate nothing! It is ideology-driven insanity. 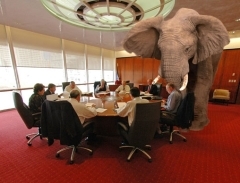 The sustainability agenda has a new figurehead in the UK. Ed Davey, a man who is guilty of dogged determination to make things worse because he refuses to accept his direction is damaging. He thinks he is a force for good. He is merely a puppet of delusional environmentalists, with little concept of the real world and is in thrall to those who believe humans are a plague that should be controlled, by reversing industrial progress and undoing the humanitarian progress that has enabled many people of even meagre means to heat the property they live in. 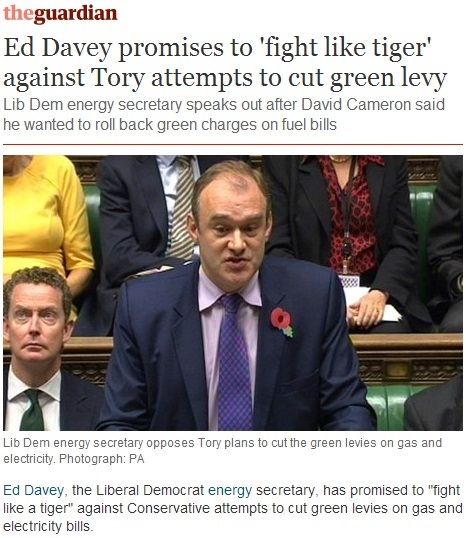 Ed Davey is possibly the most dangerous extremist in this country today. The damage he is capable of wreaking far exceeds that of armed terrorists. His sustainability jihad should be of serious concern to everyone who does not have a parasitic interest in making money from underperforming novelties that attract ludicrously inflated feed in tariffs: and whose low output must be purchased by energy providers irrespective of the cost – the pain of which is then borne by all powerless energy consumers. Davey is out of control and impervious to the wishes of the people. He is aided in this by the fact we do not have democratic control that enables this idiot to be called to account. More than any other politician today, he embodies the pressing need for structural reform of governance in this country to ensure people have the power, not dictatorial ideologues elected by around 28,000 voters in one corner of south west London. It may be a cliche, but it’s true. The cheapest unit of energy is always the one that isn’t used. Those are the words of RWE npower’s Chief Executive, Paul Massara (on the video below). Once again we see reinforced and overtly articulated, the implementation of the global sustainability agenda, which is seeking to force consumers to use less energy by driving up prices. It is staring us in the face, yet still it is shrouded in deception and dishonesty – even with the price comparison sites pretending better deals can be had, so they cash in each time some desperate customer switches supplier to postpone the inevitable hike of more than 10% when their ‘fix’ deal ends. All the comments from David Cameron, Michael Fallon and the cast of bare faced liars at the heart of government, including Ed ‘justify your price increase as I load on the levies’ Davey, about shopping around for a better deal, is nothing more than theatre. It’s all an act. There is no plan, no impetus and no desire to increase energy supply to meet demand. The politicians know the agenda they are working to. They know they are pricing people out of the ability to afford energy to heat their homes and cook their food, all for the corrupted ideal of environmentalism. Only the most deceitful or utterly incompetent and deluded fool could possibly argue that almost doubling the wholesale cost of electricity from nuclear power, in 10 years time, could result in cheaper energy bills. But that was David Cameron, speaking about the plans for the construction of Hinkley Point C. Only a moron like him could suggest that getting a French company to build the power station with oodles of Chinese money equates to kick starting the UK’s nuclear industry. It is an outrageous lie. If all this does not provide sufficient evidence that our rulers – who are supposed to be our servants – are serving interests other than ours, then nothing will. So another week has passed with yet more plans unveiled for progressing the insipid ‘sustainability’ agenda, based upon the anti democratic implementation of Agenda 21, which is used as cover for something altogether more sinister. There is no other way to put this. The UK is at war. What is at stake is our liberty, our privacy and personal freedoms, in fact our very way of life. If you’re saying to yourself that this is overblown, hyperbolic, conspiratorial nonsense then pause and take some time to think in depth about why we are seeing the events that are currently unfolding, quietly and virtually unnoticed, in the UK today – a UK that is a modern, industrialised society. Think about the impact on this country’s increasing population, that shows no sign of slowing its growth, of the political decisions that have been taken to prevent the construction of reservoirs that would increase our water capacity, the purpose of which is to force our growing number to use less water than is currently used by the smaller number of us today. Think about the impact on this country’s increasing population, that shows no sign of slowing its growth, of plans being hatched right now, the purpose of which is to force the larger population in the future to use 27% less energy than is currently used by the smaller number of us today. Think about the impact on this country’s increasing population, that shows no sign of slowing its growth, of regulations put in place the purpose of which is to prevent the larger population in the future disposing of waste efficiently, by reducing landfill capacity and so far quadrupling the amount we are charged for getting rid of our refuse. These are just three examples of the assault on the British people by conducting a controlled reduction in the capacity and provision of the essentials for life itself, essentials for the way of life that has developed and sustains us, and essentials for effective sanitation to maintain a healthy life. And in each of these examples not only is capacity and provision being reduced dramatically per capita, but the corporate monopolies that have been granted control over these essentials are being permitted and/or compelled to drive up the charges for them – not only stripping away from us more of our disposable income and securing huge profits for themselves, but also reversing decades of effort and action to ensure the poorest and most vulnerable in our society have affordable provision. One would typically expect a tipping point to be reached where the population draws a line and challenges the establishment that, rather than implementing common sense and affordable solutions to maintain standards and quality of living, is instead so committed to adversely affecting people’s lives. With that in mind, now think about why government seizes every opportunity to control and restrict the right of people to assemble in protest, monitor who communicates with whom, carpets our towns and cities with CCTV cameras that have ever increasing capability, seeks to harvest our DNA and centralise our health records, furthers the proliferation of court hearings held in secret and imposes harsher sentences on people who reveal the details of secret cases than on those who commit violent offences. Could it be anything to do with keeping the people in check, so protest against the damaging and oppressive actions can be prevented and the agenda can be pursued to the advantage and benefit of the elite few? There is more besides, but these examples illustrate the point clearly enough. At the end of the line of the erosion of our liberties and privacy is the establishment’s desire to control and dominate the people, treating all of us as suspects to be monitored and controlled and trotting out the cant that if we’ve nothing to hide we’ve nothing to fear – and of course there is the corporates’ desire to cash in by providing the ‘solutions’ at our expense.